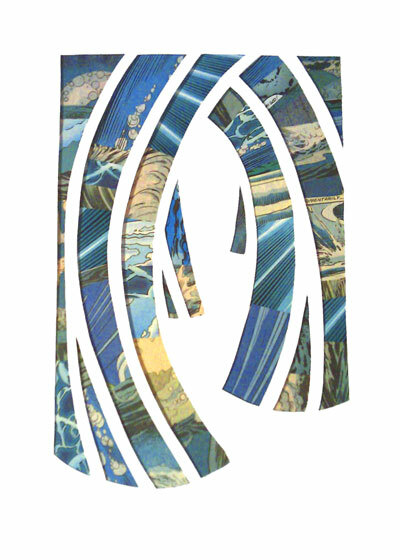 This is "Parting of the Red Sea," from my latest series of papercuts, bringing together the mythos of comic books with the stories of the Torah and Midrash. See this and more at my upcoming show at the Merage Jewish Community Center of Orange County: "Paper Midrash: New Work by Isaac Brynjegard-Bialik." The opening reception will be from 2 to 5 p.m. on January 24, 2010. Jon, Thanks for your comment. And YES, these pieces will be on sale at the show in January, at the gallery. I'll have a catalog of works available eletronically for those who can't attend -- consider yourself on the list.